This week’s Tableau Tip Tuesday is a guest post from Data School consultant Rob Suddaby. You can view the original post on the Data School blog. 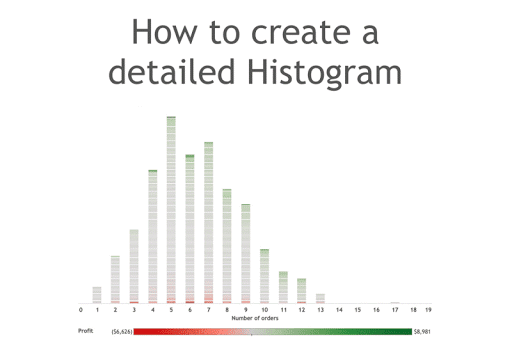 Yesterday, Rob showed me a fantastic histogram he created and I encouraged him to share how he built it. What I really like about this method is that, if done well, it can show frequency, clustering and magnitude. Give Rob a follow over on Twitter.